Here's another range of products from Kiss Me. Being one of the bestsellers from the wide range of mascara in the market, I must grab this chance to try it myself, so let's see how it achieves! Lashes lift to new heights! Waterproof even when you're swimming! You just have to put the base on the base of your eyelashes and apply the mascara raising the lashes. Additional coats would give a much denser look for the lashes. The mascara fibre is quite fine, and of course it definitely makes my lashes appear longer and don't clump with one another. #1 Good thickening and lengthening effect. #2 My lashes feel light and naturally curled. #3 It definitely will not clump on the wand. #1 Only oil-based cleanser is usable for removal. #2 It LOOKS a bit dry, so it's not ideal for photoshoots, but fine for daily usage. From the picture, the brush is long but thin in the middle. 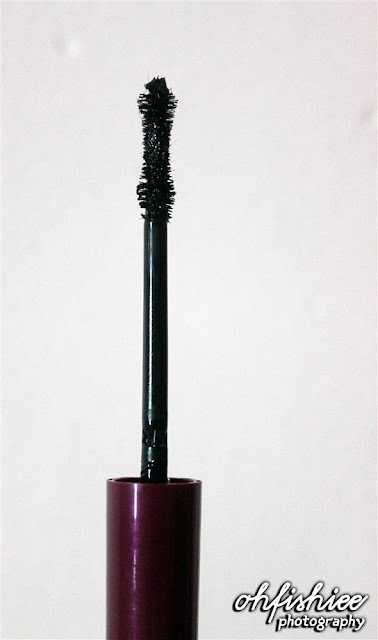 Most of its features are similar to the Long and Curl Mascara above. However, this is more suitable for those with already long lashes, but want a more detailed curling effect. With my medium length of lashes, you can barely see the lengthening effect from this mascara. But it definitely does what it promises to do. 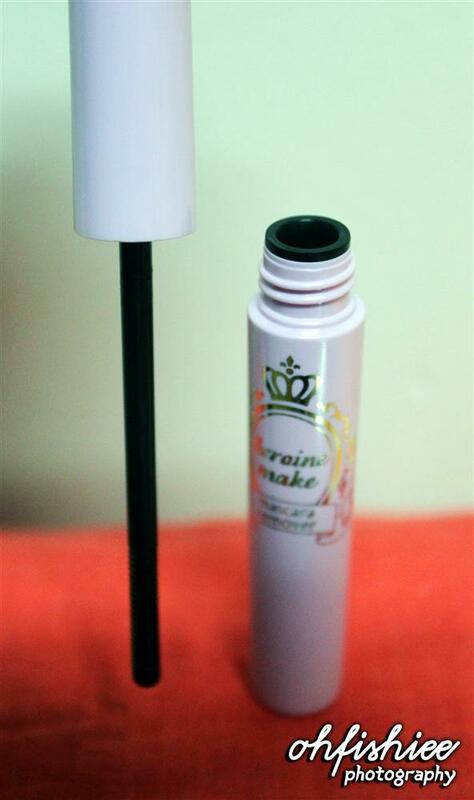 It volumizes my lashes and holds a curl very well. #1 Very light and comfortable for my eyes. #2 Smudging is pretty non-existent. 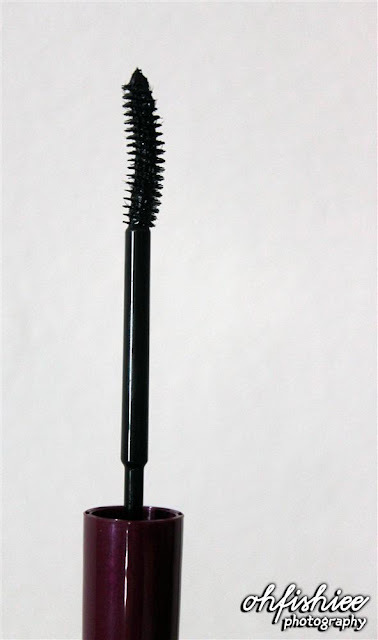 #3 The mascara fibre does not flake and stay put throughout the day. 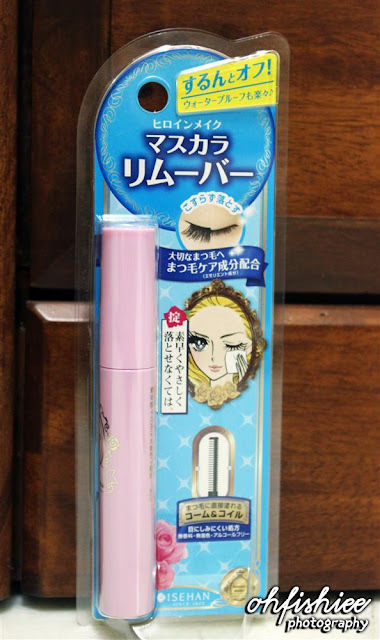 #1 Again, it is difficult to get rid of with normal mascara remover product. Accompanied with the mascara, Kiss Me series also includes this eyeliner to draw long-lasting and natural liners. Consisting of moisturising ingredients, it gently takes care of the skin. 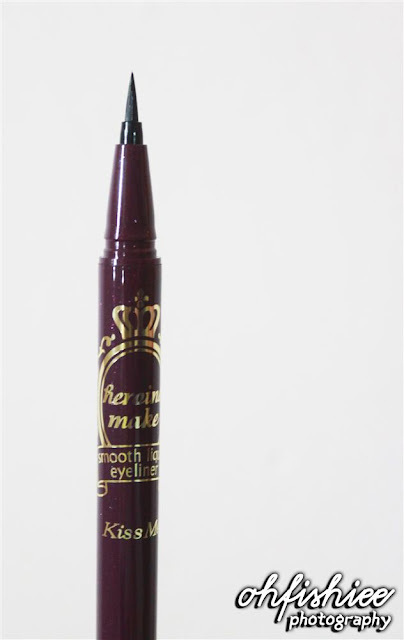 The best feature ever in this liquid eyeliner is its elastic ultra thin brush with only 0.1mm-wide tip! With this firm, super-fine brush, drawing a difficult line is no longer a hassle to me! I fall in love immediately with this product as I can easily draw thin lines along the eyelash bases and upward lines around the outer corners of the eyes. 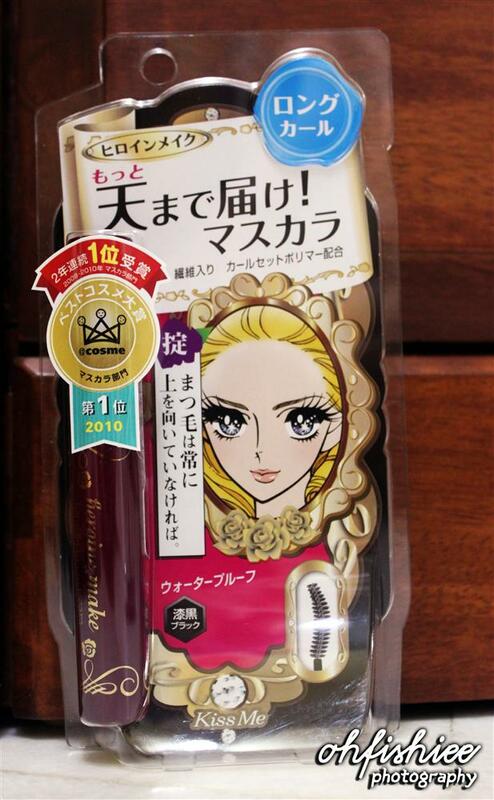 Continuing with the Heroine Make series, here's the review of this mascara remover. Simple it does look, you just have to take out the wand, then wipe it on your lashes, and finally wait until the mascara melts and apply cotton wool to remove. #1 Convenient! You don't need to bring a bulky bottle of eye makeup remover anymore. #2 It should do less damage than normal eye makeup remover because you are applying it on your lashes and not the whole eye. #3 It is very clean, with a good effort, of course. #1 The removal requires patience because not all fibres can be removed thoroughly especially the corner parts. In short, I'm happy with these long-lasting mascara along with the eyeliner and remover for the best make-up experience. I'm getting more and more confident with this Japanese product and love the natural yet defined look! 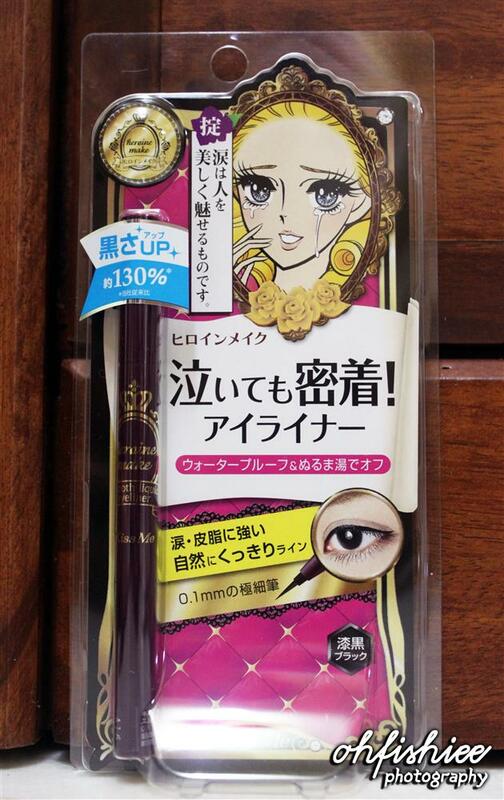 I also love Japan makeup product. I am currently using Majolica mascara and eye liner. So far I love it. I just did a Bellabox Beauty Box Review :) Happy V-day, Fish! I don't know how to use make-up cause I hate make-up but the only thing I used was mascara. I would love to try this mascara. thanks for the intro! the mascara really cool! make the eye lashes curl up alot! yeah agree with camy. reall cool too. i used avon for mascara but it took ages to finish it since i seldom wear mascara.hehe.